I have two boys, but I'm now expecting a little girl. 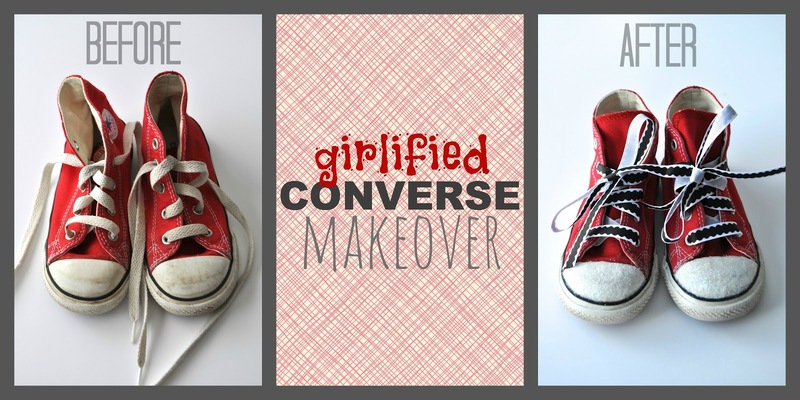 I've been looking through my boys' old clothing and shoes to see what I can convert to girl clothing for the baby. 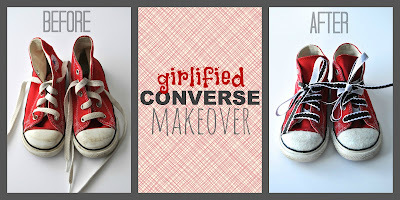 These little red converse sneakers have been through a few boys in the family. I decided to try and "girlify" them for the baby so she can wear them one day too. It was a quick, easy project.